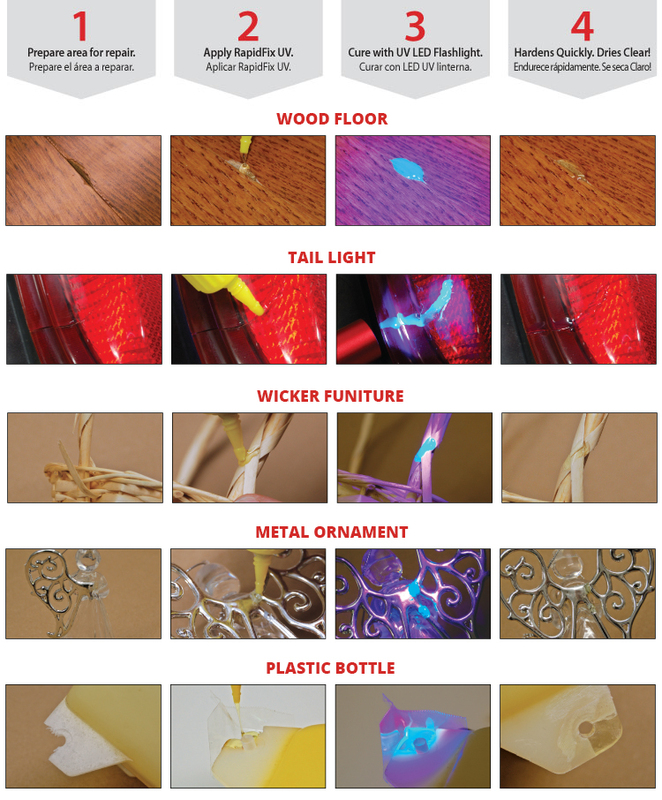 RapidFix UV is an amazing liquid plastic adhesive that only sets when exposed to UV light. The RapidFix UV Liquid Plastic Adhesive allows as much time as needed to position pieces properly. You control when the adhesive hardens by using the special UV LED Flashlight. Simply shine the UV light on the adhesive for 10 - 20 seconds to cure.Adhesive hardens in seconds and dries crystal clear. The high strength bond can be sanded, filed, drilled and painted. Adhesive will not dry out in the bottle. Guaranteed for 24 Months!